Title: Sorting The Catch - This is an original painting by U.K watercolour and soft pastel artist Greg Howard. 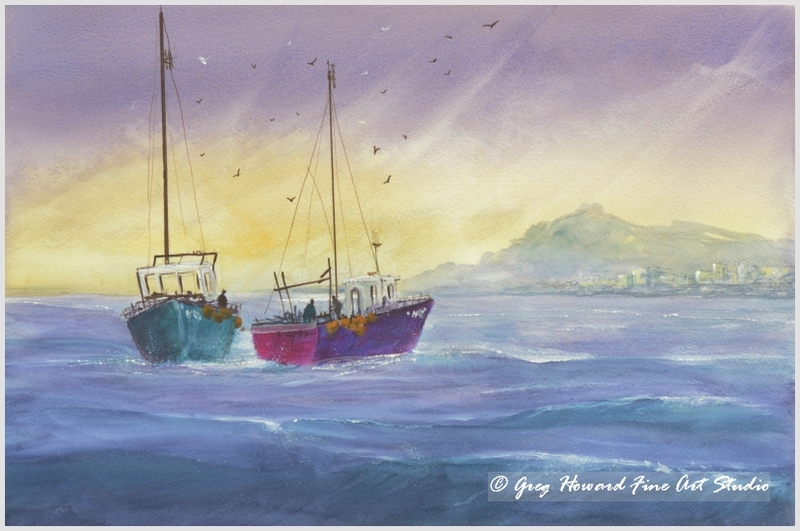 Title: Sorting The Catch – This is an original painting by U.K watercolour and soft pastel artist Greg Howard. Again an opportunity to push the colours with this one. This is a fictional piece based on two fishing boats sorting the catch out before returning to harbour for the evenings fish market. The original watercolour painting is 520mm x 350mm and is available either framed or unframed. Be the first to review “Sorting The Catch” Click here to cancel reply.